"Yes, I do". Keep track of all the arrangements, down to the last thank-you note! The journal has 8 themed sections to fill in. Space for noting down ideas and inspirations, organizing the ceremony and reception, deciding on the music, the flowers, the decorations. 162 adhesive labels for personalizing your journal. 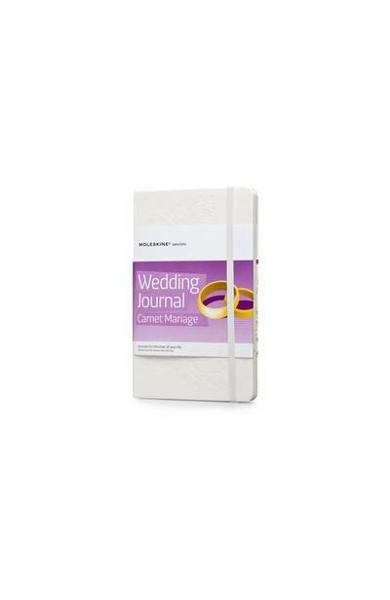 Bridal Book insert to plan: your dress; accessories; make-up; hairstyle; the perfect look for your big day. Pearlescent white cover with blind debossing. Violet flyleaves. 3 violet bookmark ribbons. Double expandable inner pocket. 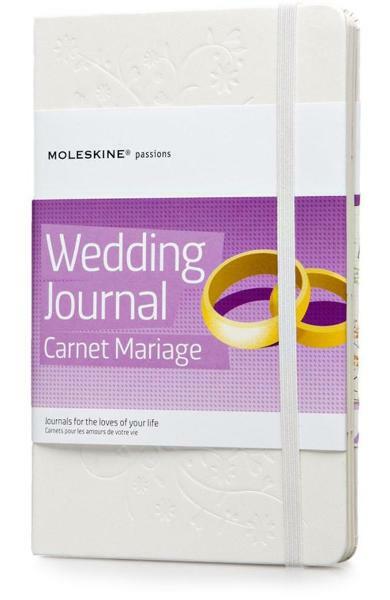 Produsul Moleskine Passions Wedding Journal face parte din categoria Agende a magazinului online Libris.ro si este produs de . 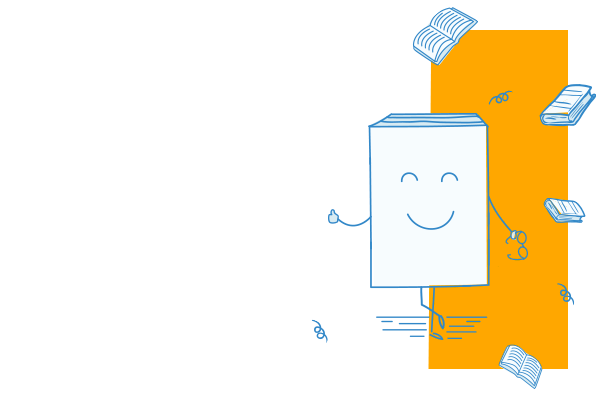 Livrarea se face din stoc din depozitul de carte Libris in 24-48 ore, in zilele lucratoare. Transportul este gratuit prin curier rapid, oriunde in Romania, pentru orice comanda de minimum 50 de lei. Pentru orice solicitare apelati call center-ul Libris de luni pana vineri intre orele 8-20.